I have been doing a lot of shopping in the bulk bins section of my grocery store lately. It makes buying healthy food much more affordable. I have also been trying to stay away from using so much plastic food storage containers. It's costly to keep buying them, and there is some debate on which plastics are safe for food. For this reason, I have opted to use glass storage containers for most of my bulk purchases. So that I don't have to spend extra money buying these containers, I simply wash out the empty jars of jelly, pickles, spaghetti sauce...etc. It seems like most items that come in jars have a very, very strong scent. The smell sticks to the jar, even after washing in very hot water. Getting rid of the smell is very simple! All you need is some salt (I use sea salt) and some warm water. Put about a teaspoon of salt into the jar. Fill the jar all the way up with warm water. 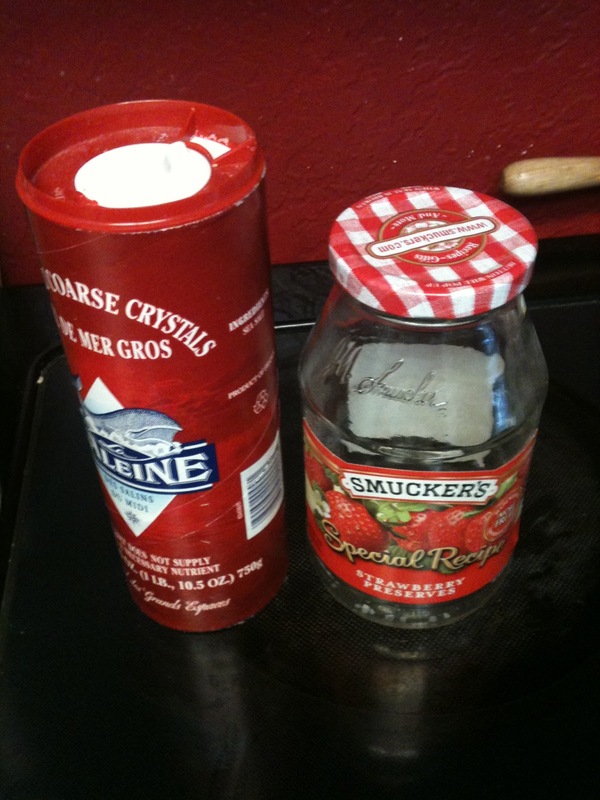 In the morning, turn the jar upside down so that the lid gets the benefit of the salt water. After a few hours, rinse with hot water and let dry. The smell should be gone! 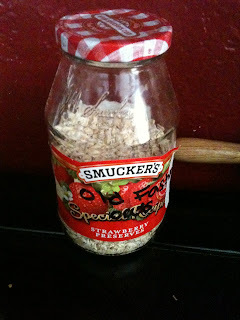 day make "pretty" labels to put onto my jars. Do you buy from the bulk bins? How do you store your food? Goo Gone or WD-40 should get the sticky stuff off once you've removed the labels. @Nickeletta Thanks for the tip! I have wd-40, I'm going to try that.